A planning application has been submitted for the site currently occupied by Bill Sheehan Motors (formerly Rathdown Motors) at the junction of Templeogue Road, Terenure Road West and Terenure Place. 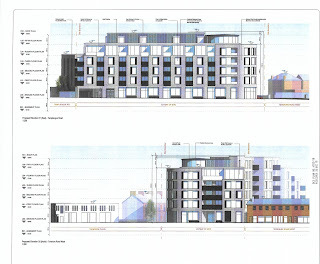 In summary, the proposal is for the demolition of (both) commercial buildings on the site and construction of a "Build to Rent" residential apartment development comprising a six storey building accommodating 55 apartments, and (at ground level) 3 commercial units and a cafe. 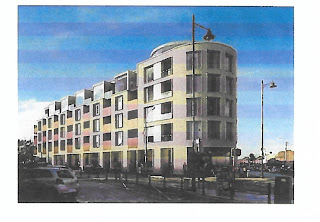 Underground parking for 37 cars is also included, with vehicular access to the Templeogue Road. The last date for submitting observations is 1st February.